Elegant Touch Switch Eclipse (light / wall switch) has a capacitive touch (touch) screen into a stunning glass and beautiful sleek design. A light touch was enough to operate the touch switch / switch, because it operates on the basis of capacitive sensor technology. The Eclipse Touch Switch lights a blue LED for orientation in the dark, when you touch the touch switch display, the blue LED will jump to red so you can see that the touch switch is turned on. The switch is easy to build on the site of the old switch. The dimensions of the base of the switch is in fact the same. 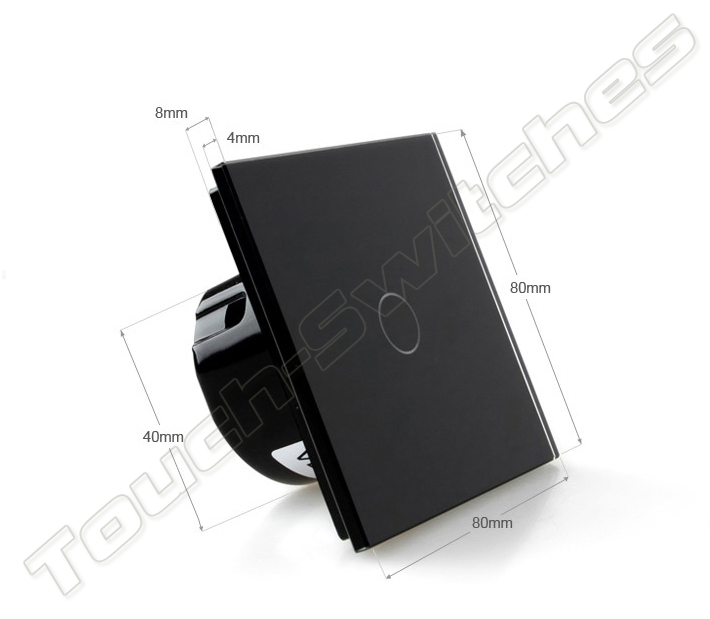 The touch switches are provided with a glass touch panel in combination with the touch module. 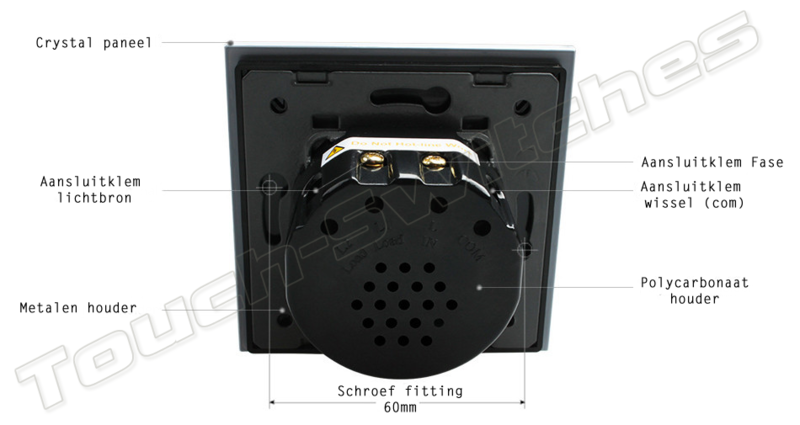 The touch module is safely hidden in a polycarbonate container together with a metal plate which is provided with two screw fittings so that it is easy to install on an existing flush-mounted box.